Pickler Memorial Library is the second library to have stood on this campus. The first, now referred to as the "Old Library," was connected by a short hallway to the East side of "Old Baldwin Hall," the original campus building, which was situated where the Sunken Garden now grows. 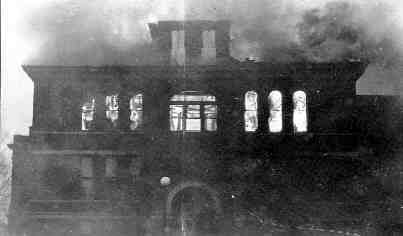 On Monday, January 28, 1924, a fire broke out in Baldwin Hall; within a short time, it had burned beyond salvation. In spite of heroic effort on the part of students, faculty, and staff, the Library soon caught fire and burned as well, with only about 750 books saved. A third building, "Old Science Hall," was saved by fire doors built into the hallway that connected to the West side of Old Baldwin. Although classroom space was now severely limited, the general consensus was that the library should be replaced first. The total amount of insurance paid for both buildings and their contents was $117,355.33; $75,000 of that amount was to be used to construct a new library, and an architect was contacted for the new building's design. There were questions about the legality of using the insurance monies without first paying them to the state legislature, however, and plans were delayed. There were also fears that, even if the insurance money were released without further difficulties, it still would not be sufficient for the new building. In May of that year, Samuel M. Pickler, a member of the first graduating class of 1870, and former faculty member, offered to donate $25,000 toward the new library. His contribution made it possible for the Board of Regents to award a construction contract for $86,000. On June first, the Board of Regents publicly announced the gift, adding that the new building would be named Pickler Memorial Library to honor its generous benefactor. Later, Mr. Pickler gave $10,000 more to provide furnishings for the building. 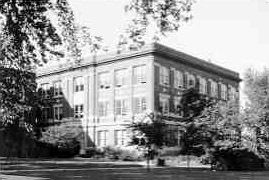 On May 5 of the following year, 1925, the three-story, 85' x 95' brick building was finished. 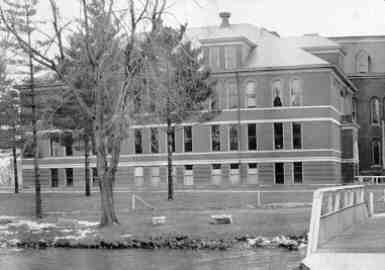 The first and second floor contained classrooms and offices; the third floor was reserved for the library. Although a mere one-third of the building was used for library purposes, that amount was far more than had been available in the old building. Eventually, it was hoped, the library would expand to use the entire building. By the mid-1960s, the library was suffering from overcrowding; enrollment had increased and the library, which had expanded to fill the whole building, now contained about 150,000 volumes. 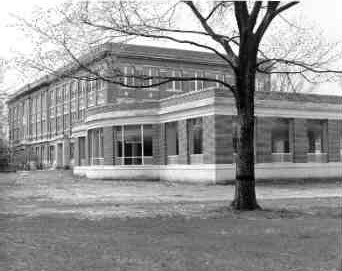 In October of 1965, the Board of Regents awarded contracts for the construction of a new addition to Pickler Memorial Library that would increase the building's size by approximately 33,000 feet. The finished building was meant to provide seating for 1,100 students and shelve about 250,000 volumes. By the beginning of the 1967 fall semester, the collections were moved into place in the open stacks in the enlarged, updated, and air-conditioned building. The library's holdings continued to grow, and by 1989, stacks had been added to accommodate the collection that contained now more than 230,000 volumes until there was seating for only 381 patrons. In 1981, a consulting firm had found the library to be inadequate for the present and future needs of the University. The next year, Missouri voters passed a bond issue that provided $390 million to build facilities for education, mental health, public safety, expanded health care, parks and recreation. In 1985, the state government appropriated $12,275,000 for an addition to and renovation of the library. A groundbreaking ceremony was held on August 7, 1987, and construction began a month later. Charged with bridging the past and present, the architectural firm of Ittner and Bowersox of St. Louis, Missouri, literally did just that. They designed a building that wraps the original 1925 structure and connects the old structure to the new using bridges that cross the Atrium on the second and third floors. The renovation of Pickler Memorial Library came to a close on October 9, 1993 with the dedication ceremonies; a special guest and speaker was Virginia Young Stanton, granddaughter of Samuel M. Pickler. By 1995, patron seating areas were expanded to accommodate 706. After the dedication, the University announced Mrs. Stanton's gift of $200,000 to landscape the east (front) facade of the library. 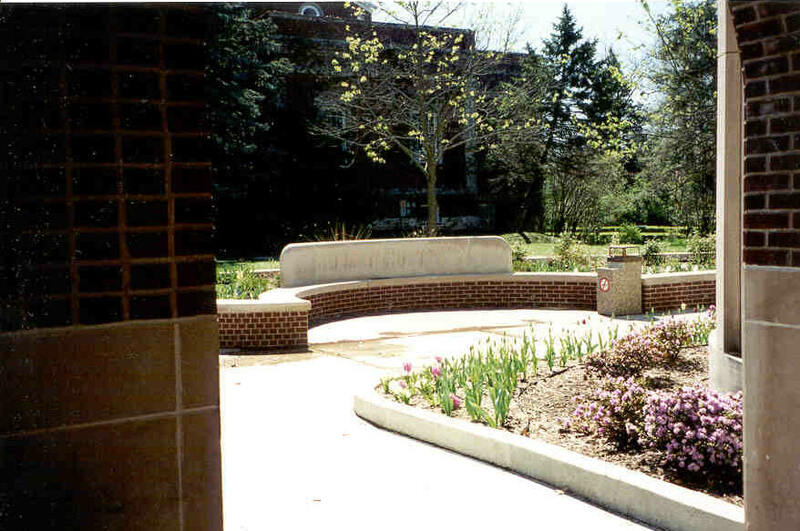 The Virginia Young Stanton Garden, with a seating area across from the main entrance and flower beds the full length of the building, was dedicated in 1996. In the years since the dedication, the library has continued to grow and change according to the needs of the campus - it never remains static. 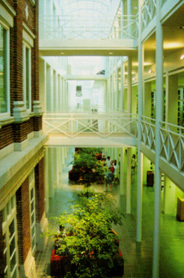 In 1996, the main computer lab for the campus was moved into the library, the media library was expanded in 2002, and additional seating and shelving are being added continually.